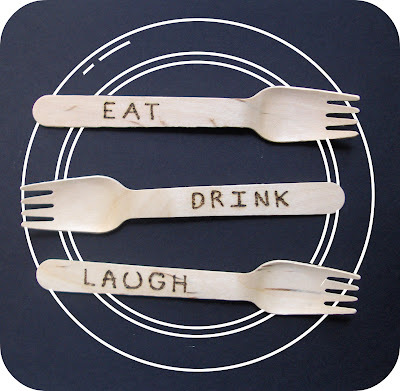 Eat, drink, laugh and be merry with these fun eating utensils. 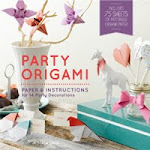 They're easy to make and guaranteed to add a personalized touch to any party. Simple directions below. Bamboo Forks - I purchased a set at Daiso, 10 for $1.50. If my memory serves me right, they also had spoons and knives. With a pencil write out a word on the handle. If the spacing doesn't look good just erase and start over. 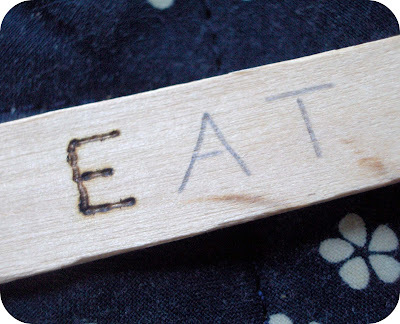 Now just take the wood burning tool and trace over your word. Done. 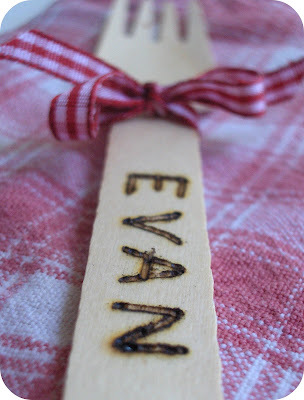 * I recommend practicing on some scrap wood first to get a hang of the wood burning tool. 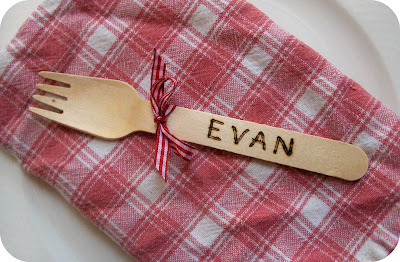 Use utensils to double as place cards for your guests. Let your serving utensils do the talking by functioning as food labels. 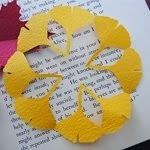 This would work best with small items such as hors d'oeuvres. These are really cute! What a great idea! What a neat idea! I've never seen wooden utensils though. btw I hope you don't mind I'll share your spam sushi recipe to my blogger friend who's getting addicted to sushi now. I'll give her your link too, she's crafty. She'll like your stuffs here for sure. If only we have Daiso in Australia! Sometimes I wish I'm still in Singapore where there are Daiso and other Japaneseque stores! Very good idea, these bamboo utensils! 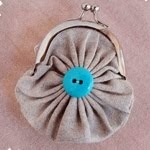 How adorable are these: perfect for a party or a picnic! I have a few packages that I bought at Anthropologie on a major mark-down sale too... just wish there was a Daiso near me! I love this idea! This would be so fun for a picnic. Now I need to get a wood-burning tool! How great! 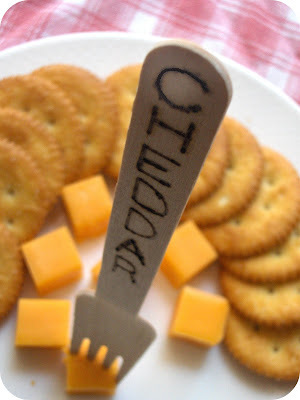 I especially love the cheddar fork!